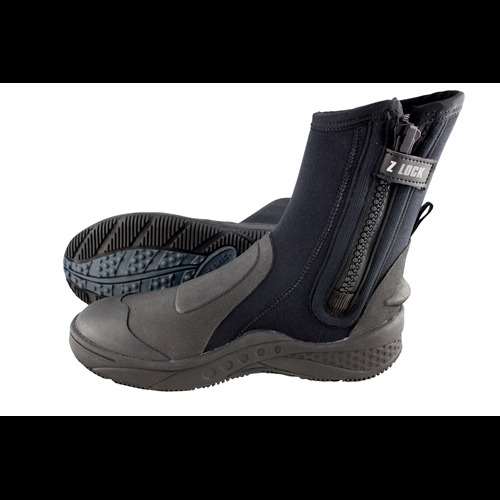 The Oceanic Traxion boot is designed for a diver who wants the ultimate in support and protection. 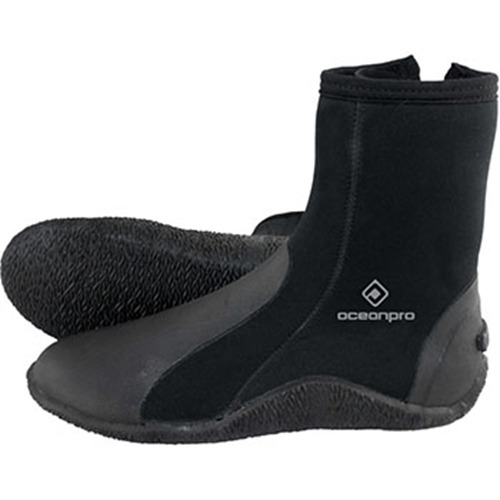 A stable footbed and hardwearing moulded outsole make this ideal for regular shore diving. Heavy Duty Zip and StopperA common problem with dive boots is having the zip slide down during a dive, letting water in and making your feet cold. The heavy duty zip and in particular zip-stopper on the Traxion boots reduce the risk of this happening, keeping the top of the boot tight around your ankle.Fin-strap RetainerThe Fin-strap Retainer does exactly what is says, keeping the strap up on the back of your heel. This has been carefully researched and tested to work with most diving fins on the market today. The cut-away at the back of the heel minimises stress on the Achilles tendon during finning, ensuring greater comfort during longer dives.Traxion Hard Wearing OutsolesThe Traxion hard wearing optimised outsole gives a superior level of grip and maximum stability. 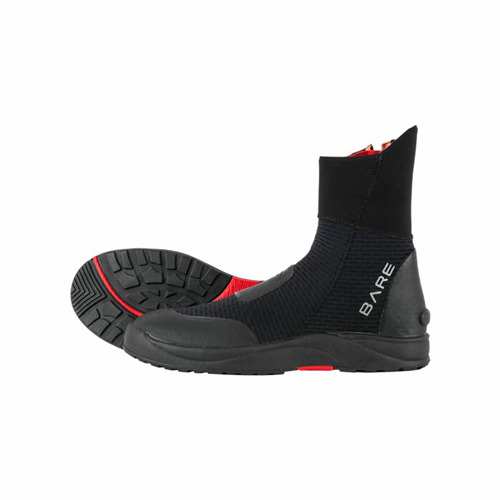 This makes it ideal for shore diving, negotiating entry to the water especially over slippery rocks.